Prenatal Classes In The Information Age | Hamilton, Burlington, Ancaster, Dundas and Beyond! A lot of people are skipping prenatal classes these days. They figure that childbirth education isn’t really useful when you can read lots of great books and learn anything you want to on the Internet. I get it. We’re all really busy. And us smart women are far more used to teaching ourselves how to do lots of things from books and YouTube videos. Spending money and time on a class can seem a waste. I’m not paying a mechanic to replace the burnt out bulbs in my headlights when I can watch a step by step video! Same thing for cooking, setting up a wifi router, and replacing a kitchen faucet. Prenatal classes are a bit different, though. What a really good prenatal class will do goes far beyond what any book or video can teach you. Unless, of course, that book or video was made by someone with extensive knowledge of birthing and parenting in your community. “The Birth Partner” by Penny Simkin is a fantastic book to read, but Penny has never even set foot in a hospital in Hamilton, Ontario! And she’s never attended births at home with the amazing midwives in our city. Not even Penny Simkin would be good at teaching birth and baby classes in Hamilton. You know who is good at it? Hamilton Family Doulas is. Let me explain why. Firstly, we’ve been teaching prenatal classes for over a decade. That means for more than 10 years we have been sitting down with pregnant people in all kinds of situations. We’ve been teaching folks expecting twins and singletons. We’ve been teaching single people and couples, both gay and straight. We’ve taught folks expecting a child with health complications. We’ve taught all of these people in both group and private settings. Sometimes we’ve even taught groups in private homes! Sometimes we don’t teach pregnant people at all, but instead teach the student midwives who study at McMaster University. Secondly, we do not teach anyone’s curriculum but our own. We do not teach branded classes developed by people with no connection to the birthing families in this city. The education needs of people right here have driven the development of our curriculum. And, that curriculum has been meticulously designed and cultivated over the years to always reflect the latest health recommendations and practices. Finally, we teach about having a baby in Hamilton. One of the first things we talk about in class is what kind of provider students have and where they plan to give birth. Your Hamilton Family Doula childbirth educator then automatically adjusts the information taught in class to reflect the desired birth locations and the type of birth attendants that students will encounter. 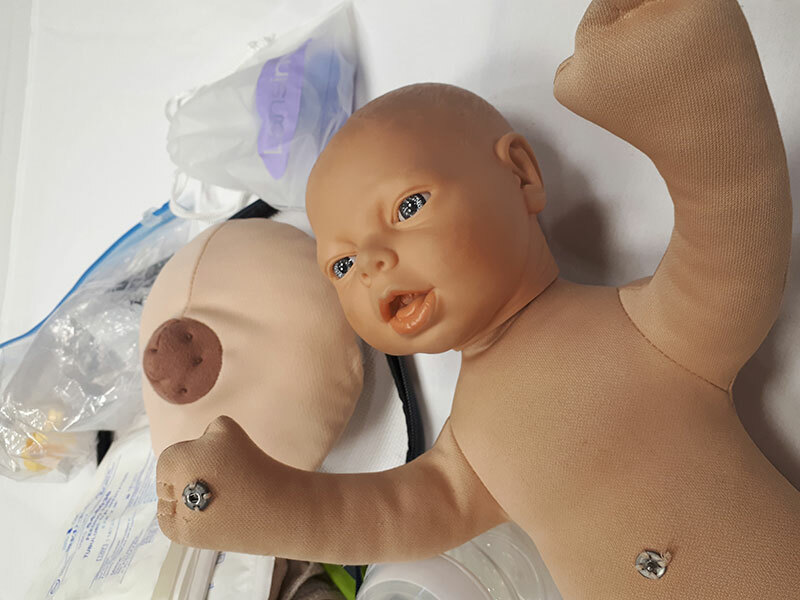 We talk about real life scenarios that illustrate what birth looks like here and the specific community standards that our students can expect during their birth care. The people who developed this curriculum have been attending births and supporting families after birth in Hamilton for over 12 years. You can trust that they will be able to accurately answer your questions and help you feel comfortable as your prepare for the birth of your baby, or babies! You can experience great prenatal education in a variety of ways. Sign up for our one day Birth Essentials class to get you and your partner ready to have your baby. Or, sign up for our one day Baby Essentials class to learn all about how to take care of your baby! Each of these small group classes features a delicious restaurant meal at the midday because you should’nt have to worry about packing a lunch and you definitely shouldn’t have to worry about driving to class each week for a month or two. If you have a schedule that doesn’t allow you to take a group class, are on bedrest or maybe you just want to worry about one less thing we can come to you! We’ll teach you everything from our group class in two convenient three hour classes in the comfort of your own home. But, what if you don’t want to sit through a whole class just to learn the couple things that are most important to you? We offer single learning sessions taught in your home at a time that works for you. You get to choose a couple topics that you are most interested in learning and skip everything else. You still get a seasoned educator who can answer ALL of your questions about birthing and taking care of your baby with none of the hassle of a 6 or 7 hour class. Did we mention our classes are fun? We really shouldn’t skip over that point. Sitting around for a long time listening to other people talk is hard enough but when the information is a bit dry it can feel like torture. Hamilton Family Doulas makes sure you enjoy your learning time and makes it easy to talk about some pretty intimate subjects embarrassment free. Have I convinced you that prenatal classes are worth taking? Want to know more about the curriculum? You should call us, email us or visit our Prenatal Classes page to get signed up today!